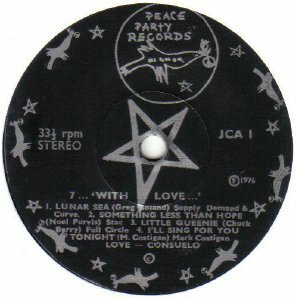 USA) and his girlfriend Consuelo (hence the "love, Conseula" text on the label). 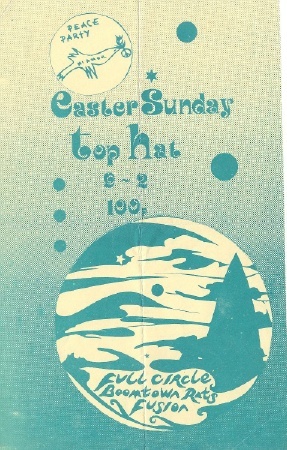 Duggan organised several Peace Concerts in the Dublin area during the mid-70s. Quite hard to find now. Jimmy organised several Peace Parties in the Dublin area during this period. with Full Circle, The Boomtown Rats and Fusion.